This August, Amy Saltzman will compete in her first triathlon, but she is no stranger to competition. 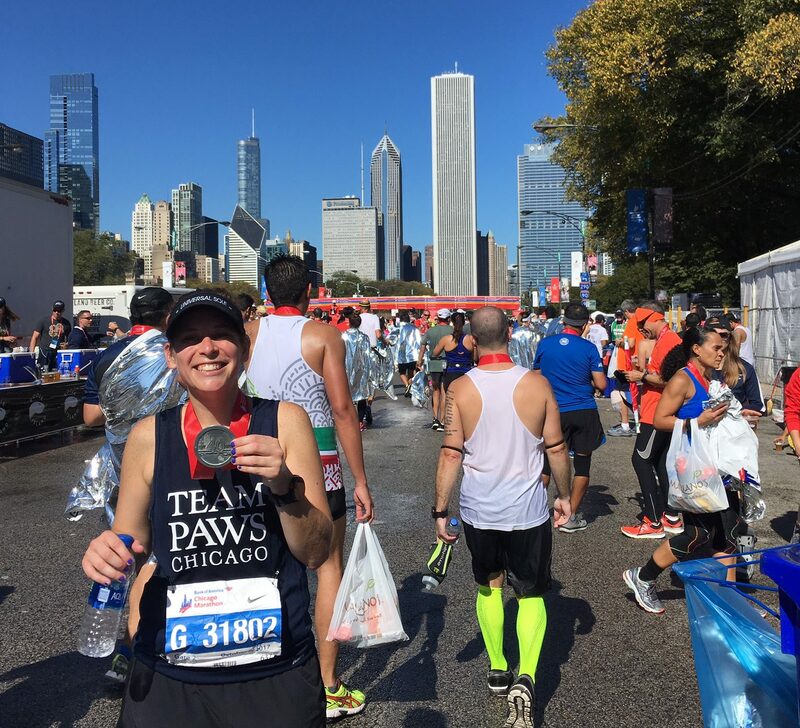 She has completed five marathons, including the 2017 Bank of America Chicago Marathon, and two half-marathons for TEAM PAWS Chicago. Saltzman’s marathon personal best is 4:08. Originally from Cleveland, Ohio and now living in Ravenswood, Saltzman started running middle school track to stay in shape during the soccer off-season. She quickly discovered a wonderful group of distance runners and experienced the power of that bond. They logged a ton of hard miles together while sticking $1 bills into their shoes to sneak into McDonalds for ice cream cones during recovery runs. Saltzman had the idea of doing a triathlon for a while, but after speaking to fellow TEAM PAWS triathletes, she was finally convinced. Last year, she was a spectator at the Chicago Triathlon, and the excitement and camaraderie of the event motivated her to register this year. PAWS Chicago’s mission through its adoption program, targeted spay and neuter services, free- and low-cost clinics, and community outreach, is to make Chicago a no-kill city. This model is the foundation of all of PAWS Chicago’s work. 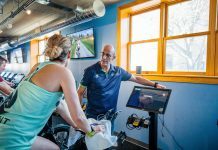 Saltzman’s most difficult challenge of training for her upcoming triathlon has been feeling like a newbie and beginner in the sport. As a lifelong runner, she had a solid base of knowledge when she ran her first marathon; learning and adapting to the other two disciplines has been a struggle for her. Her goal for this triathlon is to cross the finish line feeling happy and proud.